Yo Ho Ho!!!! 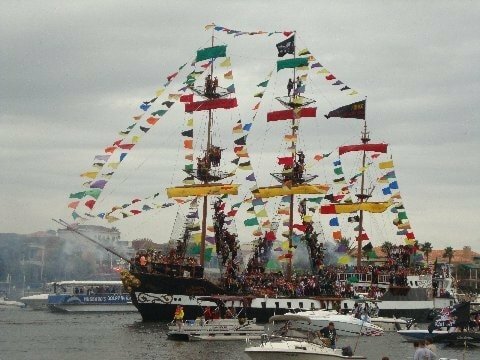 Pirates Invade Tampa Bay! Historical records are sketchy but some say Gaspar was born in 1756 in Spain where he served as a lieutenant in the Naval Academy before declaring a mutiny on board the Floridablanca. He vowed to seek his own wealth as a pirate rather than continue to serve Spain. His travels led him to an island in Charlotte Harbor, Florida which Gaspar named “Gasparilla Island.” For decades, his crew sacked passing merchant ships and stole their cargo. The crews of these ships were held for ransom on a nearby island which, according to legend, was later named Captiva for this reason. One day, Gaspar refused to surrender after his ship was attacked. Instead, he tied an anchor around his body and threw himself into the sea. The legend of Jose Gaspar is alive, well and celebrated at many FREE Gasparilla events in Tampa, festivities kick off yearly each January. First, Gaspar leads his rowdy band of pirates on an invasion in the City of Tampa. The Mayor is ceremoniously forced to surrender the city to these pirates so the festivities can officially begin. Tampa residents throw elaborate private parties, fundraising brunches for the benefit of local children and family charities, and the most incredible parades! There’s a Pirate Preschoolers Stroll, a Childrens Parade, an impressive Invasion by boat, the main Pirates Parade, and the slightly naughty Knight Parade in Ybor City. 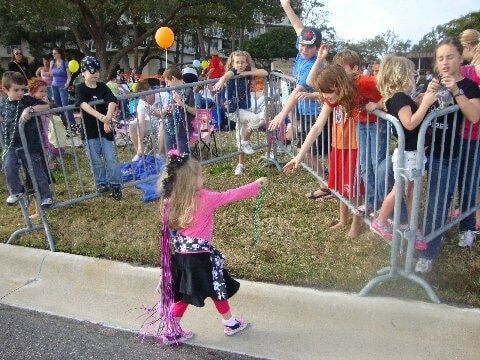 Krewe members dress as pirates and throw beads from their intricately decorated floats at these parades. Other Gasparilla themed events take place at area museums, galleries and performing arts halls. As the echoes of cannons and fireworks ring throughout downtown Tampa, children of all ages delight in the spectacle. 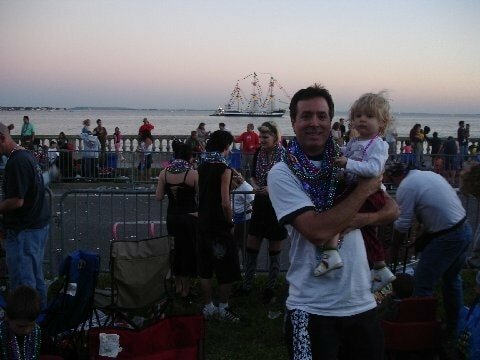 Not only can they take home a booty of hard earned beads but also memories that will last a lifetime. Looking for lodging, restaurants or other activities near Tampa? Trekaroo has the scoop! Lisa-Marie Leihy loves to explore new places across the world and blog about her Sunshine State adventures with her family at Tampa Bay Parenting Magazine. Sounds like such a lot of fun. Wish I was closer. Now I have to hunt down some pirate fun in Cali. Such a fun event….look forward to going next year. Especially love seeing all the littlest pirates!